Let's plant the seed of learning in our students! Students learn like plants grow! Students have their own individual learning needs, just like plants have their own individual growing needs of water, sunlight and carbon dioxide. Just like plants, students need to seek their needs in different amounts of quality and quantity, not only to survive, but to thrive in their current and future environments. 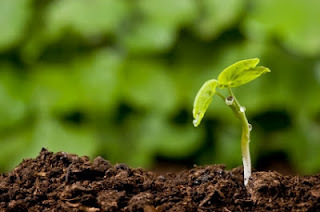 For example, if there were 10 different types of plants in the same soil, in the same location, and they received the same amount of sunlight, water, and carbon dioxide everyday, then they would grow very differently. Some plants might thrive, some might die, and others might survive just fine. Now, if these plants were able to grow in their preferred type of soil, coupled with their preferred amount of water, sunlight and carbon dioxide, then they would all thrive in their "preferred" growing environment. Therefore, if our students were able to learn via their preferred type of instruction, then they would, too, thrive in their "preferred" learning environment. All students come to our classes equip with different needs. Some of these needs include individual learning styles, interests, readiness levels, and talents. Teachers can't expect to deliver the same instruction to everyone and expect all students to succeed. Teachers need to accommodate to all of the needs and interests of students, and what better way to do that than by giving students opportunity and choice to fulfill their own individual learning needs. I believe that students learn best when they are able to ask their own questions, find answers to their questions, and demonstrate what they have learned using their preferred learning style and interest. I think that empowering students to take ownership of their own learning is the best thing that we can do for them. Our world is changing and we need students to think differently, critically and creatively to solve tomorrow's problems. The only way to prepare our students for their future is by creating authentic learning opportunities for them to construct their own meaning, and apply their learning and understanding to their world. Plants have to evolve in order to adapt to their changing environment ... and so do our students! Let's plant the seed of learning in our students so that we can continue to thrive as a civilization.